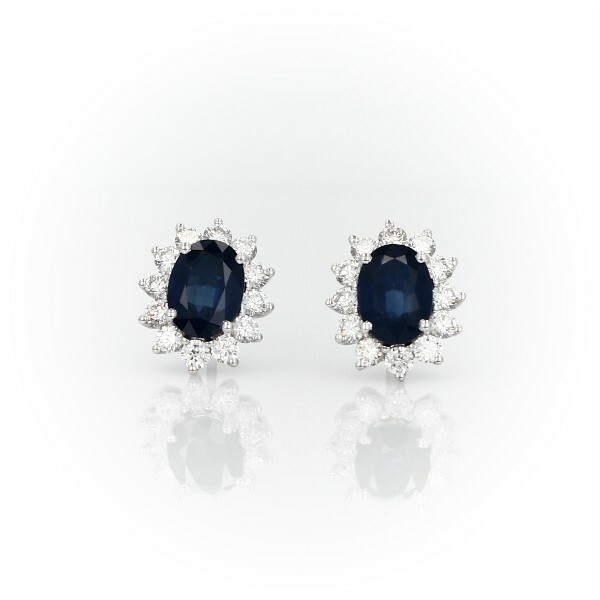 Deep blue sapphires make a colourful statement in these classic sapphire and diamond stud earrings. Two faceted oval sapphire gemstones are encircled by 18k white gold halos of claw-set, round brilliant-cut diamonds. The total weight of the two sapphires is approximately 2 1/3 carats, just the right size to get noticed.